Taste Washington, the state’s largest exhibition of wines under one roof, was held in Seattle March 31 and April 1. 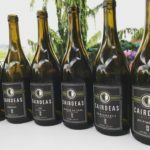 The Washington Wine Commission estimates that the 225 participating wineries poured more than 200,000 tastes from the 800-plus featured wines during the two-day event. 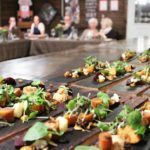 After schmoozing and then swirling, sipping and savoring my way through this year’s wines it became apparent, yet again, that the state’s winemakers have much to offer. Normally, I seem to find a handful of clunkers here and there, but that wasn’t the case this time. Past vintages are maturing beautifully, and new releases are first-rate and diverse, although they might be a bit different from what you’re used to. Many of the 2009 and 2010 reds are leaner and meaner than their predecessors, with less emphasis on fruit forwardness, good acidity levels, and plenty of structure. The 2010 and 2011 white wines I sampled were absolutely astounding. Big, crisp, clean acidity, notes of minerality, and superbly balanced fruit levels were the order of the day. 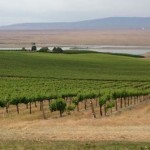 These vintages could truly be among some of the best for Washington white varietals, such as chenin blanc, riesling, sauvignon blanc and semillon. L’Ecole No. 41 2010 Semillon (about $14) – Stone fruit and Meyer lemon flavors explode in this wine I consider to be a great bargain. 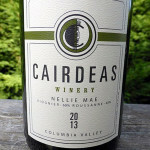 Cairdeas Winery 2011 Nellie Mae White Rhône Blend (about $19) – This exquisite combination of viognier and roussanne strikes the perfect balance between bright and viscous. 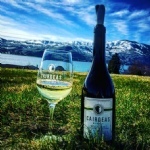 Page Cellars 2010 Sentimental Blonde (about $20) – Sauvignon blanc and Semillon team up in a tasty blend with splashes of pineapple and tropical fruits. Buty Winery 2010 Bordeaux Blend (about $25) – This blend is creamy, floral and citrusy, all in one delicious glassful! Gifford Hirlinger 2009 Stateline Red Blend (about $16) – Dark red fruits and a dense, chewy texture make this an excellent wine to enjoy with beef. Heaven’s Cave Cellars 2009 Two Degrees Barbera (about $36) – Picture strawberry/rhubarb jam with just the right amount of acidity and you’ve got this incredible red wine. Hamilton Cellars 2010 Rosé of Malbec (about $18) and 2008 Malbec (about $30) – Winemaker Charlie Hoppes has another pair of winners with an ultra-dark rosé and a malbec with layers of blackberry, espresso, and spice. Hard Row to Hoe 2009 Estate Cabernet Franc (about $45) – Big, round, unconventional cola nut flavors underscore this guilty pleasure from Lake Chelan. Mellisoni Vineyards 2006 Reserve Merlot (about $35) – Gorgeous soft, silky black cherry and plum flavors highlight this must-try wine.